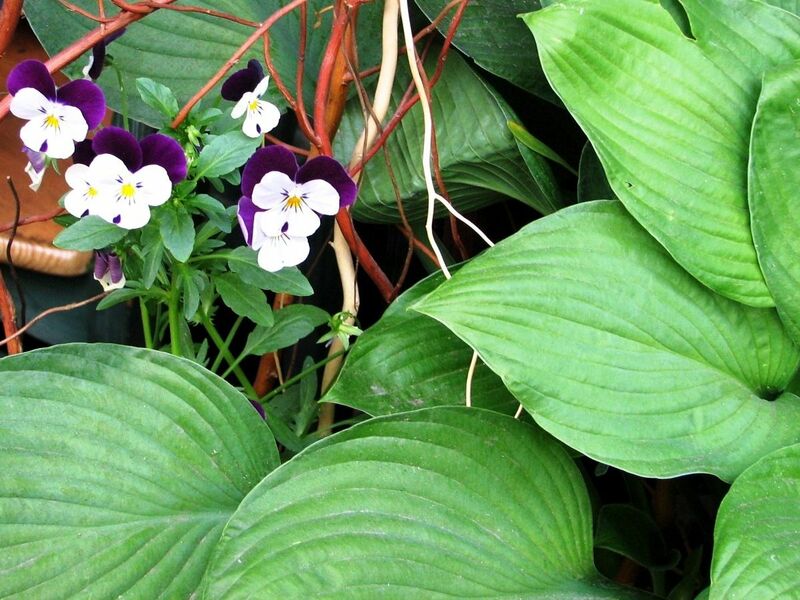 Pansy Violets: enjoy ever-fresh flowers offering you on top of their inherent beauty and grace – the gratitude for giving them chance to live! I was quite disappointed learning that one of my favorite flowers from childhood - - Pansy Violets (called shortly Pansy) are the result of human “engineering”, or if you wish – human attempt to improve the nature (BTW quite successful one). The truth is that all pansies are hybrids from crossbreeding of various wild viola species by English gardeners in the beginning of the 19th century. Since their introduction to the public they became an instant hit in Europe. 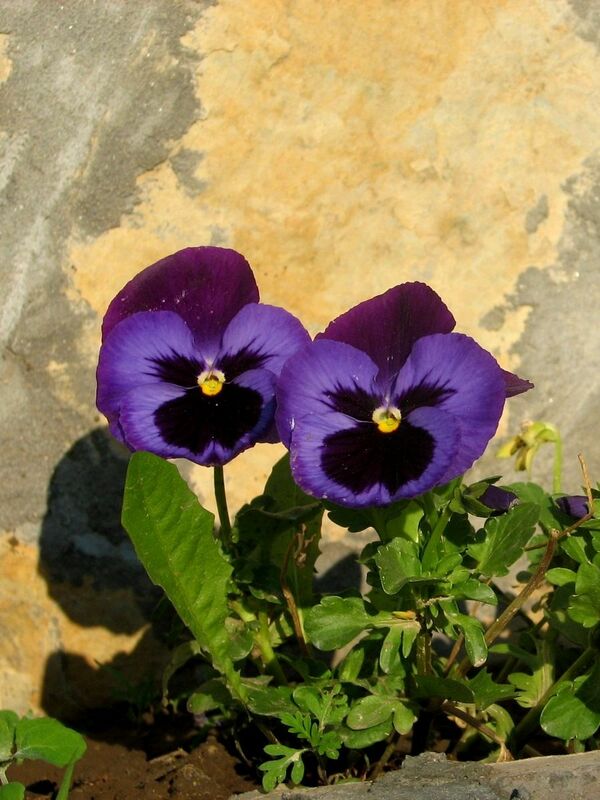 At the origin of the name “pansy”, seems to be flower’s resemblance to the human face. French word “pensée” meaning “thought” quite well represents our first impression when seeing this deeply “contemplating” flower. Today, these beautiful and delicate flowers in very large spectrum of colors including violet yellow, gold, orange, red, white, purple and very dark purple looking like black are very popular in our gardens. On the left - Aren't they lovely? Their vivid colors combined with a visible “innocence” can not only please our eyes but more importantly - warm our hearts. 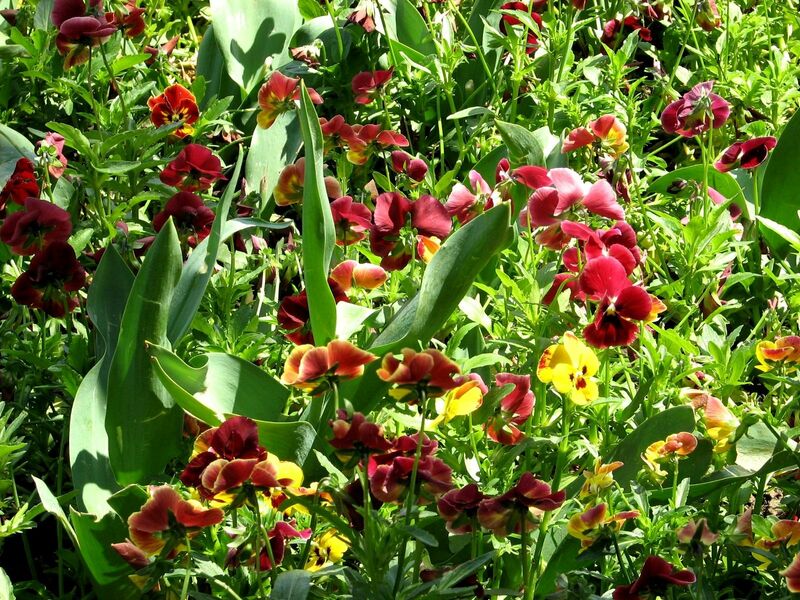 No wonder that since their beginning pansies were used to express and convey the Thoughts of Love if not the love itself. As no other flowers, pansies were honored with so many names, explicitly expressing our feelings. The names like “Flame Flower” or Italian “Flammola” (“little flame”), the very clear way explain intentions of those offering pansies to their ladies…..
Like almost all natural beauties – pansies are very delicate. They express tenderness, but so they need one as well. That is why I would like to promote pansy pictures from the Free Spring Flowers Pictures as a memorable and “inflammable” gift conveying the strong flame of love…..
Clematis and more spring garden flowers …. klématis , meaning “climbing”. Indeed among several hundreds known species of clematis almost all are climbers. If planted with care clematis can bloom almost all season from early spring to the late autumn. Given their natural elegance and charm they can make every garden a lovely place. It is interesting to notice that unlike other flowers, clematis blooms may change the color from year to year. This is specifically seen when clematis is planted in a full sun.